Holly is a professional Birth Photographer operating out of Morden Manitoba. She is a trained and experienced birth doula, as well as a registered massage therapist. She is a member of both the International and Canadian Professional Birth Photographers Associations. Holly Michelle Photography's Beautiful Momma Project. Holly is a professional Birth Photographer operating out of Morden Manitoba. She is a trained and experienced birth doula, as well as a registered massage therapist. 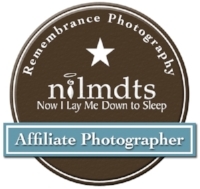 She is a member of both the International and Canadian Professional Birth Photographers Associations. This project is truly my heart. It is a collection of raw and intimate images of mothers, accompanied by their self written stories. I believe that in sharing our stories, honestly and openly, we will strengthen our sisterhood of mothers. I found out I was pregnant 2 weeks after my 18th birthday. I am not going to lie, I was full of mixed emotions. I knew one thing for sure, I was going to be a mom. I wasn't sure if I was going to be good at it, but I was going to do it. To be a mother is to have enormous responsibility. To want to be a mother is often inborn and the desire often grows as we age. This was true for me, but I was entirely surprised by the emotional rollercoaster that motherhood is. How do you know how many children you want to have? One, two, three, or more! The answer was clear as glass for my husband and me once we started into that chapter of our lives.